Mr. Ogura specializes in mechanical engineering and agricultural engineering. During his tenure at the JPO, he worked extensively on patent examinations and appeal examinations in the field of mechanical engineering. 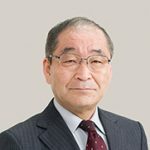 From 2006 to 2009, Mr. Ogura was a Chief Research Officer of the Intellectual Property High Court, and was involved in research litigation rescinding trial decisions and appeals.